No one likes to eat food that is cold and lacks taste during lunch. But instead, if your food is fresh and warm, it allows your kids to enjoy their food and maybe even complete the whole of it. 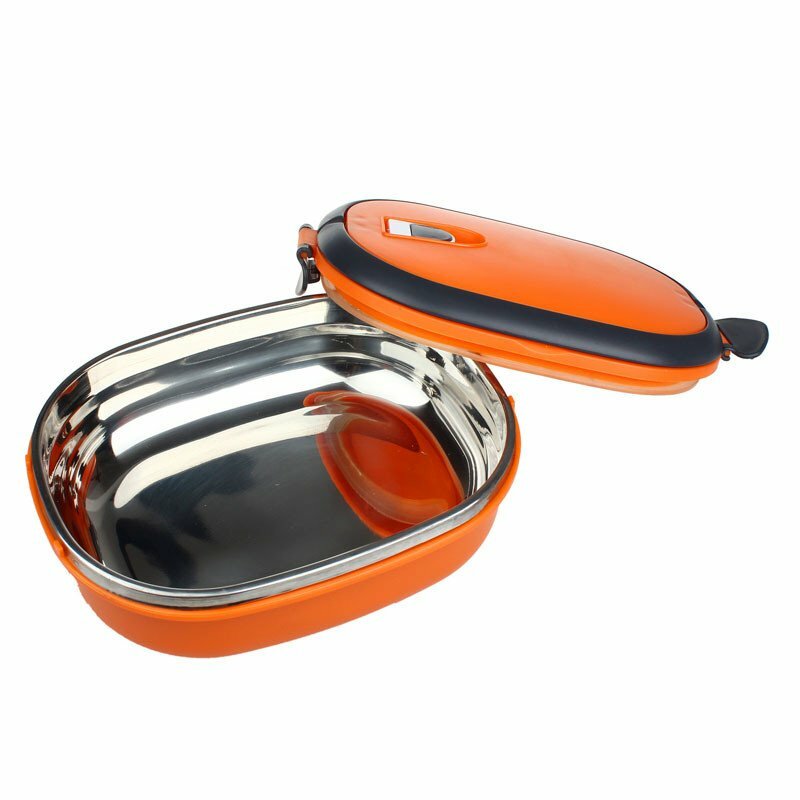 It doesn’t need to too hot, but just warm enough to keep the food crispy and fresh. And that is what the Orange Steel insulated lunch box does it best as it comes equipped with great insulation features that it keeps the food warm for a long time. 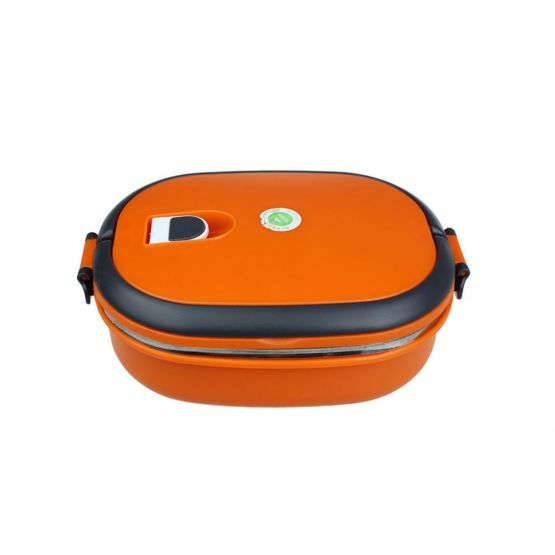 When many insulated lunch boxes are priced immensely high, this stylish and reusable lunch storage box comes at an incredibly low price and also with extraordinary features. 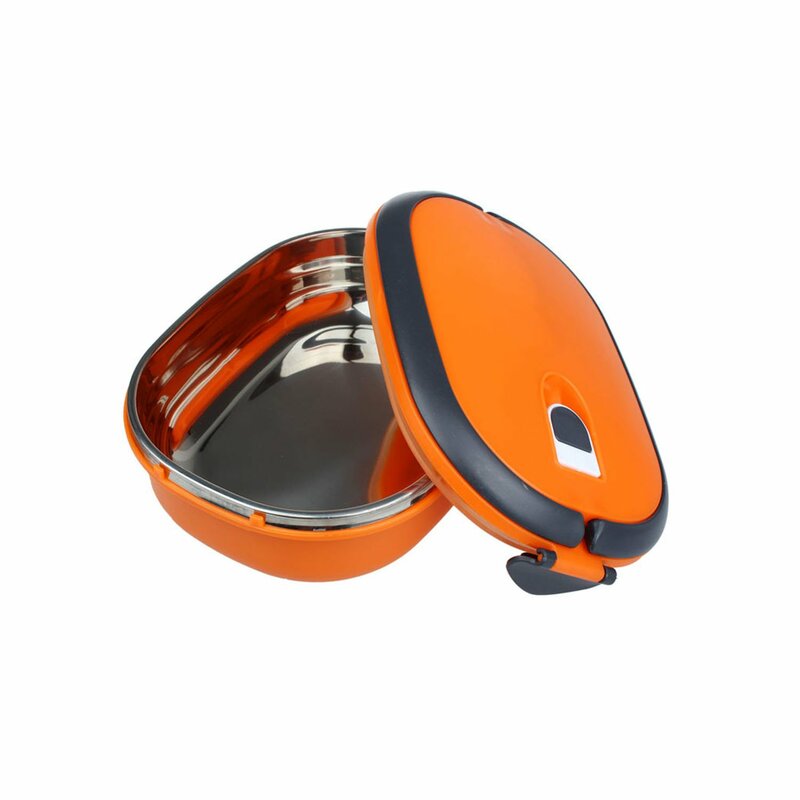 The food storage insulated lunch box is made using top quality food-grade stainless steel and comes with a couple of string and sturdy arched handles that allow you to carry these lunch boxes anywhere you go. Since it is dishwasher free, it is completely easy to clean and maintain. The insulated food keeper can keep your food warm and fresh for a maximum of 4 hours, the Air-hole design on the top of the lid makes it easy to open the box without much effort. 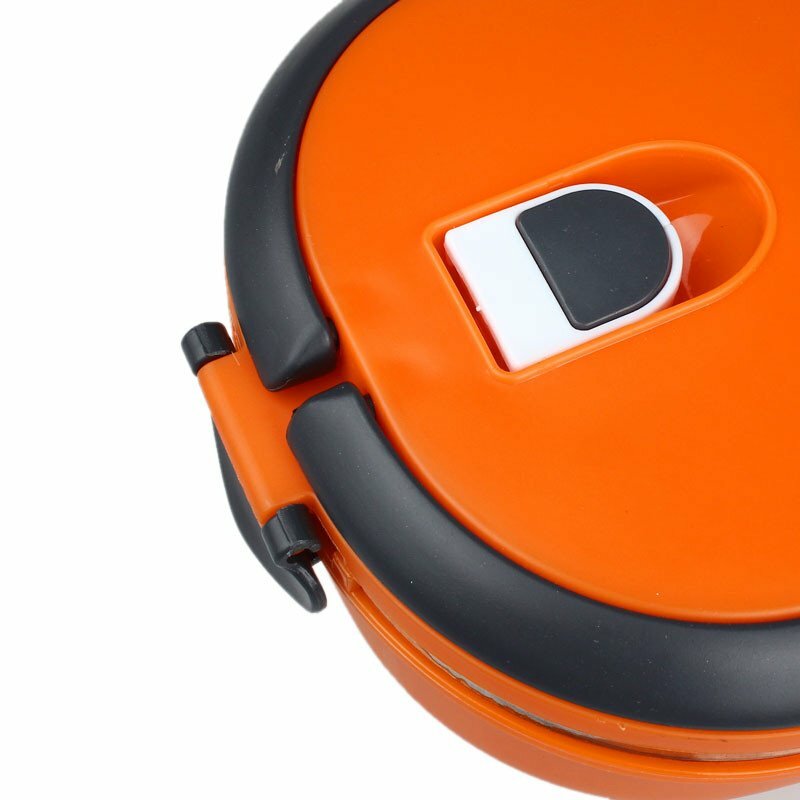 It is completely leak proof and hence you never need to worry about any spillage or leakage. 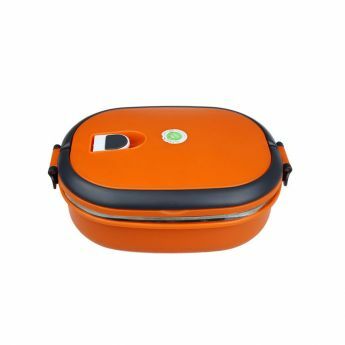 You can store around 0.9 liters of food in this lunch box and is perfectly ideal to take it with you in your camping and fishing trips. The exterior of the lunch box is made using high-quality plastic and the interior which takes care of the insulation feature is made using steel. Please allow 1-3mm error due to manual measurement, please make sure you do not mind before you bid.